Day can be this good ! Christmas is around the corner. 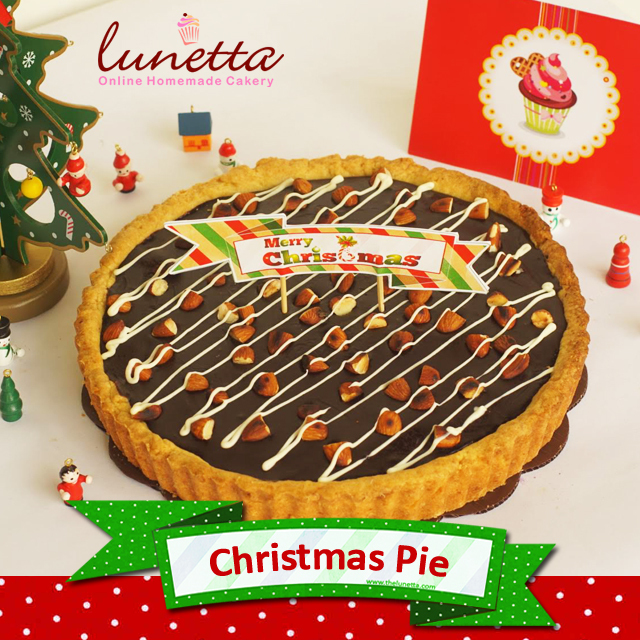 To celebrate this holiday season, Lunetta is back with Christmas hamper. 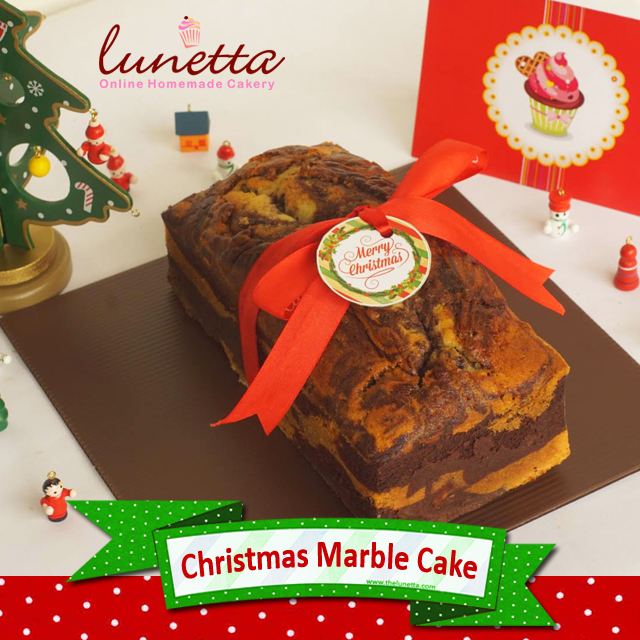 This time we are introducing our new product, classic Marble Cake. Enjoy the moist of classic cakes and bring memory sweet childhood to your home. All hamper are packaged with ribbon box, free blank greeting card and paper bag. Promo delivery is by latest December 24th 2018. Last order will be Dec 21th. To order, please go to Order FORM or contact us at sms/wa 081318984452. Order Now! 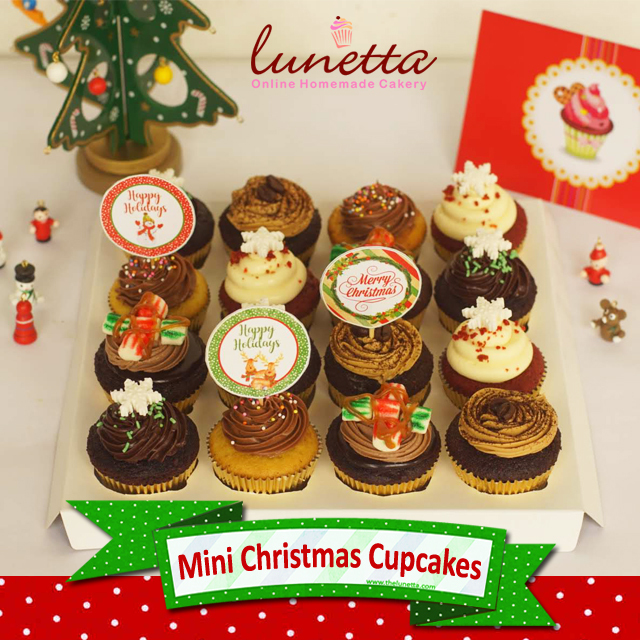 1 box of 16 mini cupcakes, 5 assorted flavors : Choco monster, red velvet, vanilla bday, cafe mocha and choco marshmallow. Get 3 free xmas topper, 1 blank card, ribbon box. Idr. 280k. 1 box of pie size maxi (diameter 24.5 cm) . Get free xmas topper and 1 blank card. We have 3 flavors. 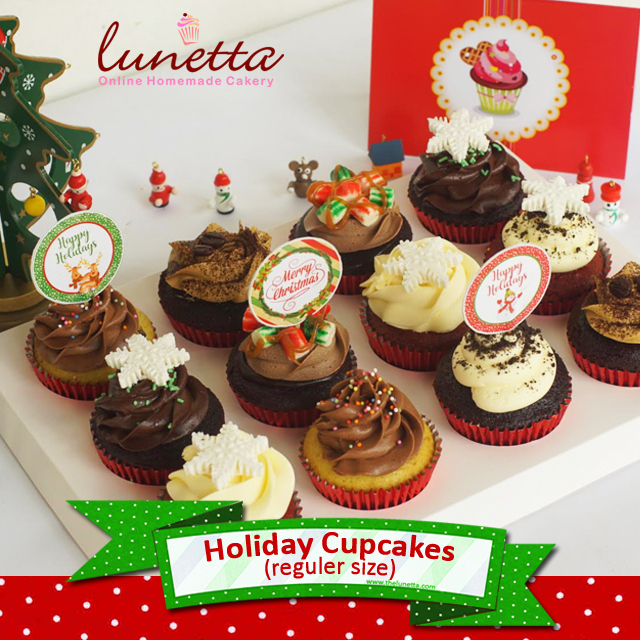 *cost exclude delivery charge: Jakarta area idr.40,000-idr.60,000 depend on location.